Electric stoves have come a long way in recent years. Long gone are the days of red coloured bulbs with spinning reflectors; now we have LED effects, LCD effects and even mist flame effects. 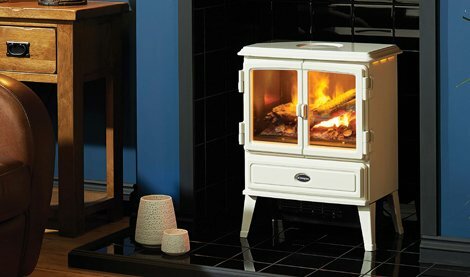 Our selection of electric stoves include MDF framed effects right through to cast-iron and steel bodied stoves. Heat, ambiance and ease of use, electric stoves remove the effort and work needed to maintain a woodburner or multifuel stove, and can be placed anywhere in the room, all you need is a socket - just plug and go! Stop. Forget everything you know about electric stoves. Forget the red bulbs, ribbons and spinning reflectors of yesterday; gone are the days of such unconvincing fakery. A new breed of electric stove has arrived, incorporating a new generation of flame effects that will astound you with their uncanny resemblance to the real thing. LED, LCD and mesmerising mist flame effects are just some of the options available, combining warmth and ambience with synergistic brilliance. 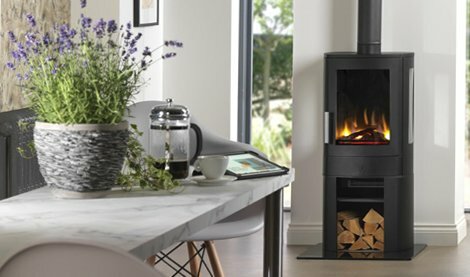 Electric stoves obviously have no emissions as nothing is being combusted, not only is this better for the environment but it also makes for easy installation as there is no flue or chimney to think about. Simple controls also make the output easy to maintain and alter at a moment's notice, which is an advantage over burning solid fuels which are less precise, and apart from the odd dusting session, electric stoves are far easier to keep clean than their wood burning cousins. 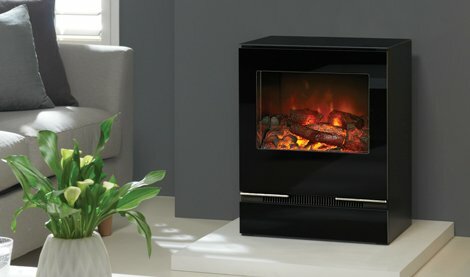 A range of designs are available: steel or cast iron bodies, various flame effects and optional extras such as dummy flues; all of which means there is sure to be an electric stove to suit your tastes and your interior. If you need help completing your search the comprehensive stove finder tool on this page can assist you, simply input your requirements and let the Stove Finder do all the hard work.